ConceptDraw MINDMAP 5 is a mind-mapping and team brainstorming tool. It has many drawing tools and a rich collection of pre-drawn shapes. 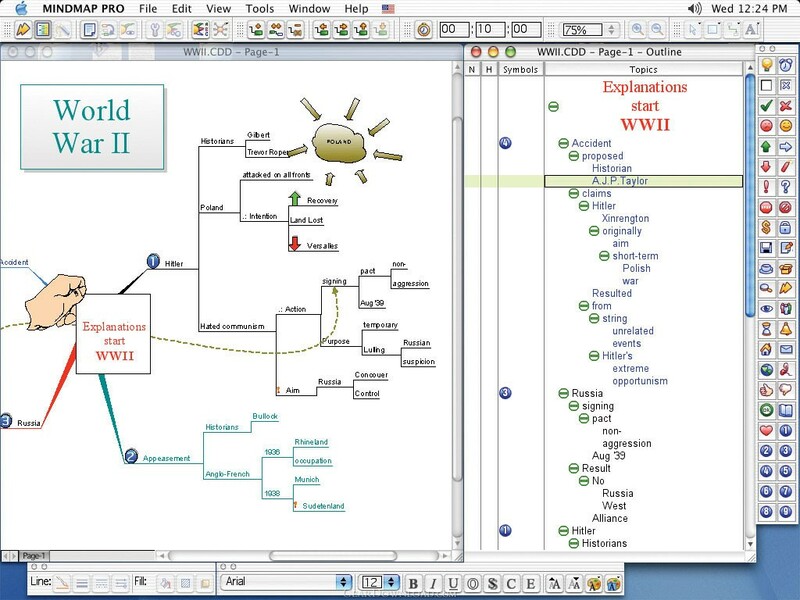 Use it to efficiently organize your ideas and tasks with the help of Mind Mapping technique. ConceptDraw MINDMAP 5 supports extra file formats, multi-page documents. It has extended capabilities for creating web sites and PowerPoint presentations. - Support for popular file formats: BMP, JPEG, GIF, TIFF, PNG, PICT, EPS, HTML, RTF. This download (CDMindMapProEn.dmg) was tested thoroughly and was found 100% clean. Click "Report Spyware" link on the top if you found this software contains any form of malware, including but not limited to: spyware, viruses, trojans and backdoors.